But gamers should stick with the GeForce RTX 2080 Ti instead. It’s certainly monstrous enough. 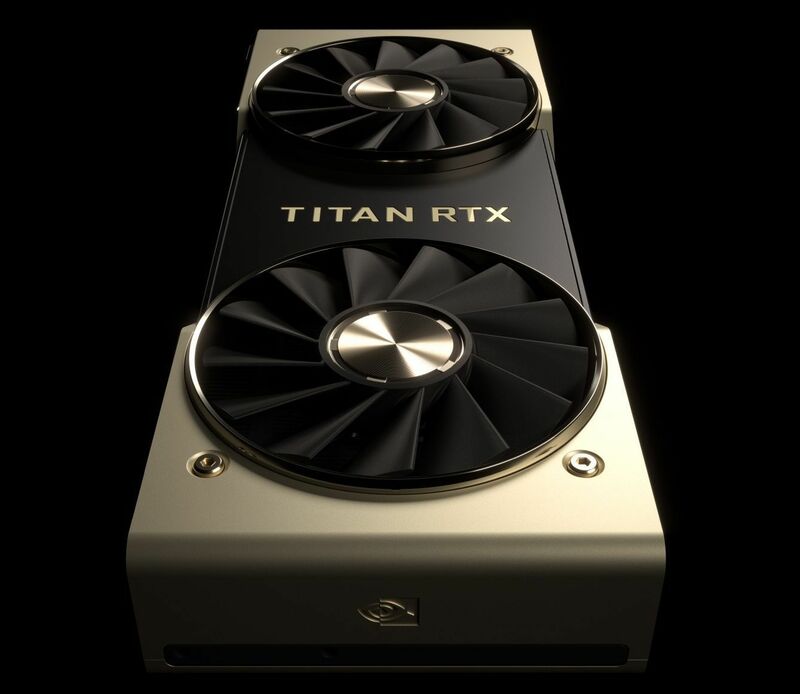 Like its Titan V predecessor, the Titan RTX returns to the Titan’s roots as a prosumer card, with a focus on AI, data science, and content creation tasks. Nvidia’s flagship TU102 GPU packs 72 dedicated RT cores for real-time ray tracing and 576 tensor cores so beloved by machine learning tasks. That’s identical to the GeForce RTX 2080 Ti’s loadout. Data tasks can require much more memory than gaming, so Nvidia loaded “T-Rex” with VRAM. The Titan RTX comes with 24GB of cutting-edge GDDR6 memory, for a total memory bandwidth of 672GB per second. That matches the Quadro RTX 6000’s configuration, and more than doubles up the GeForce RTX 2080 Ti, which has “only” 11GB of VRAM. It’s an interesting decision by Nvidia. The Titan V included only 12GB of onboard memory, presumably to differentiate it from the pricier Quadro options. While the Titan RTX’s $2,499 price may stagger gamers, the Quadro RTX 6000 costs $6,300. Such a powerful arsenal of cutting-edge hardware should make the Titan RTX stomp through machine-learning tasks. Nvidia’s supporting it on the software side with RAPIDS open-source software libraries that rely on CUDA. Nvidia also says that the tensor cores and ray-tracing hardware unlock new possibilities in creative applications, and the card’s fearsome firepower and massive memory pool gives it potent chops in traditional rendering tasks, too. The Titan RTX can even perform real-time 8K video editing, Nvidia says. 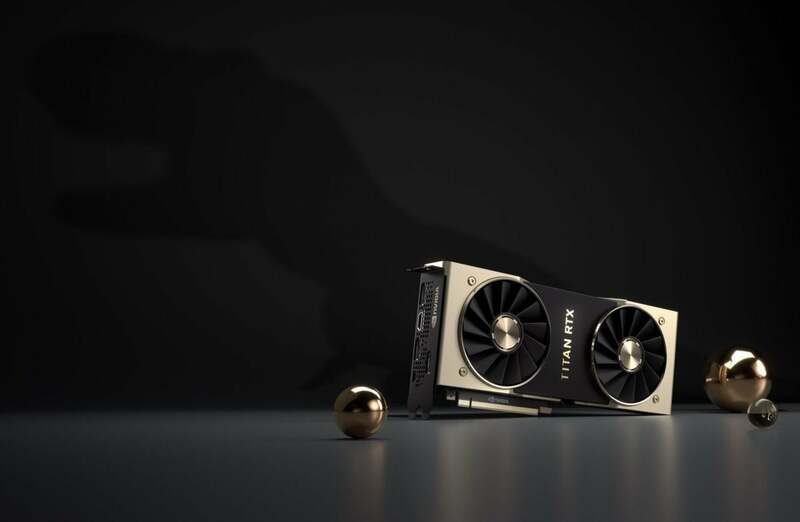 The new Titan sports the upgraded dual-axial cooler design introduced with the consumer GeForce RTX cards, but its aluminum shroud comes clad in gold, not silver. Look for the Titan RTX to launch in the United States and Europe later in December for $2,499. Thanks to those extra CUDA cores, T-Rex should (slightly) outpunch the GeForce RTX 2080 Ti flagship in gaming, but at twice the price. 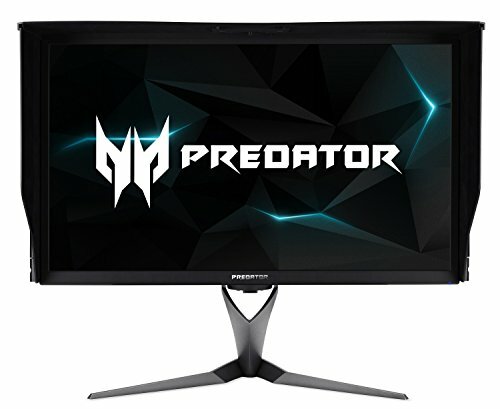 so gamers who want to drive a 4K, 144Hz G-Sync HDR monitor like the sublime Acer Predator X27 should leave the Titan RTX for the data scientists and stick to the GeForce RTX 2080 Ti instead.